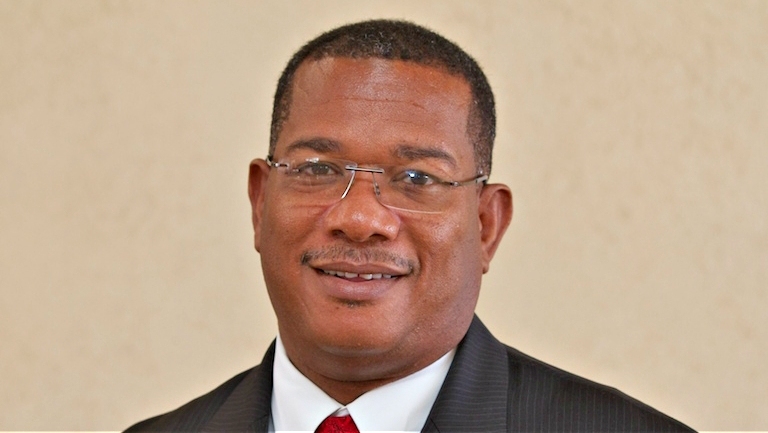 It is that time of year and Digicel Barbados Limited is in the spirit of giving. 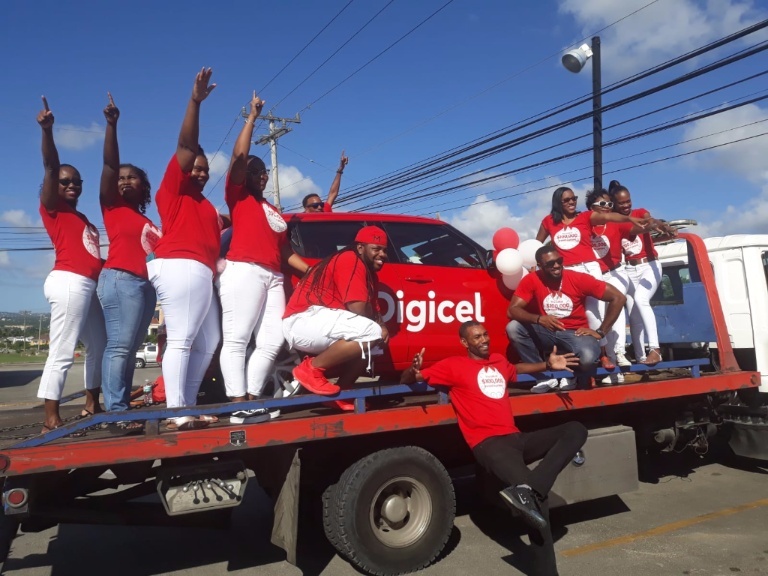 A host of cash, prizes and surprises will be awarded to lucky Digicel customers during the month of December and January through their Christmas campaign "The Gift Of More". 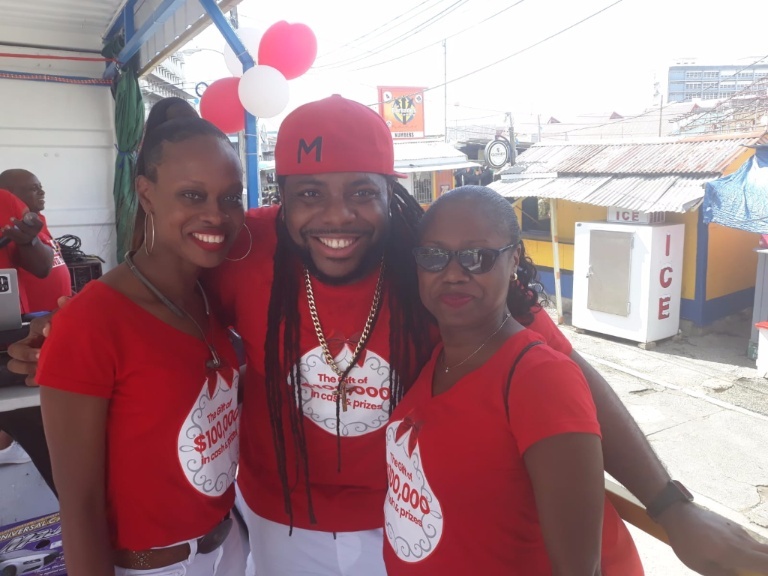 Launching the campaign on the streets of Bridgetown over the weekend with a motorcade, Digicel educated passersby about the upcoming promotion as ambassador Michael "Mikey" Mercer and DJ Jon Doe created a festive mood. T-shirts, cups and other giveaways were distributed along the route as the motorcade headed to Skymall. Commercial Director, Dionne Emtage spoke to the media about the various promotions which she said would finish on January 31st. "Each time a customer tops up $20 during the month of December and January they will receive scratch cards for the chance to win Instant prizes of all the things we know that our customers need this Christmas. We are giving all new prepaid customers the opportunity to get free data for all of 2019! Customers activating select Quick Pick plans, activating a new postpaid or H&E service, or who pays their bills on time this month will automatically be entered into winning weekly gifts and surprises this Christmas from now until January 31st." 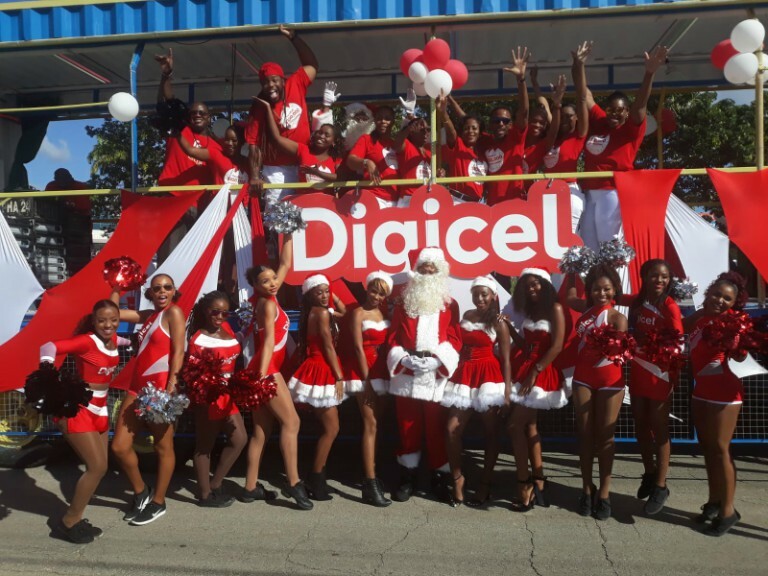 "Digicel Barbados is giving more than expected this Christmas. 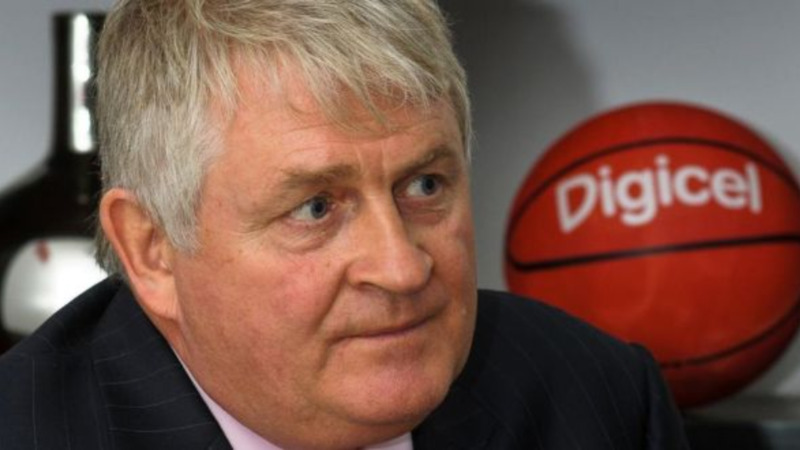 Digicel has invested heavily in their data network over the past few months and we want our customers to have the best experience. As such, throughout the month of December, we will be making over 3,000 handsets available to our customers who need to exchange their handsets from the basic feature phones to an LTE handset so that they can experience the best that our network has to offer. And this is only the start. I'm telling you - it doesn't stop there." Emtage revealed the promotion will not only benefit mobile customers but also those who have signed up for home and entertainment packages. Digicel home and entertainment customers will receive free HBO channels for a limited time and 50 percent off the original price after. Persons signing up for Digicel Bundles also will be eligible to win $20,000, and giveaways of free home entertainment packages for a year. "Through partnership with HBO all of our TV customers will receive a free preview of all HBO channels from November 30th to Dec 2nd after which they can enjoy a 50% discount for 3 months. There is even more, select Home and Entertainment plans will receive a free Bollywood content. When you thought we were done, we have also partnered with FOX to offer 50% off the premium Fox add-on to all Home & Entertainment existing and new customers."